…that the IWW defied laws and filled jails! 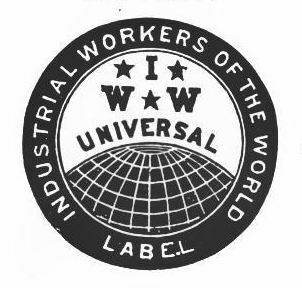 In 1919, the Connecticut General Assembly enacted laws aimed at the IWW (Industrial Workers of the World) (a.k.a. the Wobblies). The laws advocated long jail sentences for speaking in a “disloyal, scurrilous, or abusive manner,” addressing 10 or more people in a way that could “injuriously affect” the state government, or for carrying a red flag. In 1939, 150 years after the original passage, Connecticut finally ratified the US Bill of Rights, guaranteeing workers the right to free speech.